Bavarian is a West Germanic language belonging to the Upper German group, spoken in the southeast of the German language area, much of Bavaria, most of Austria and South Tyrol in Italy, as well as Samnaun in Switzerland. Before 1945, Bavarian was also prevalent in parts of the southern Czech Republic and western Hungary. It forms a continuum of more or less mutually intelligible local and regional variants. Swabian is one of the dialect groups of Alemannic German that belong to the High German dialect continuum. It is mainly spoken in Swabia which is located in central and southeastern Baden-Württemberg and the southwest of Bavaria. Furthermore, Swabian German dialects are spoken by Caucasus Germans in Transcaucasia. The dialects of the Danube Swabian population of Hungary, the former Yugoslavia and Romania are only nominally Swabian and can be traced back not only to Swabian but also to Frankonian, Bavarian and Hessian German dialects, with locally varying degrees of influence of the initial dialects. 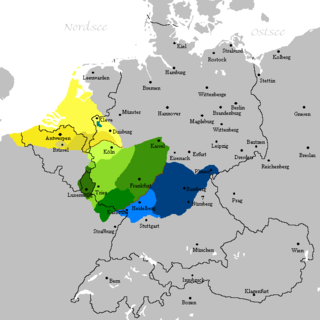 South Franconian is a High Franconian dialect which is spoken in the northernmost part of Baden-Württemberg in Germany, around Karlsruhe, Mosbach and Heilbronn. Like closely related East Franconian it is a transitional dialect, which unites elements of Central German and Upper German. 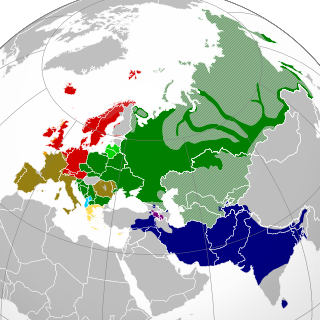 East Central German is the eastern, non-Franconian sub-group of Central German dialects, themselves part of High German. Present-day Standard German as a High German variant has actually developed from a compromise of East Central and East Franconian German. East Central German dialects are mainly spoken in Central Germany and parts of Brandenburg, and were formerly also spoken in Silesia and Bohemia. Altbayern is the territory and people of the three oldest parts of the Free State of Bavaria, which were earlier known as Kurbayern after the former Electorate of Bavaria. Upper German is a family of High German languages spoken primarily in the southern German-speaking area.